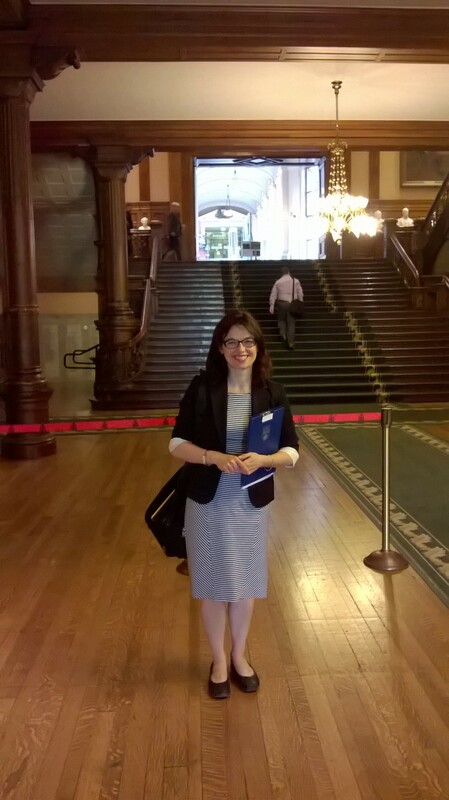 Dr Bowdish gives a deputation at Queen’s Park in support of Bill 41, The Lung Health Act. The Bowdish lab has been working with the Ontario Lung Association to encourage politicians to support Bill #41 – The Lung Health Act. You may not be aware that of all the common chronic diseases (e.g. cardiovascular, diabetes), lung disease is the only one that doesn’t have a dedicated action plan. Because of this rates of lung disease are higher then they need to be and many “best practices” for treating or preventing lung disease are not in place, compromising the health of many Ontarians and increasing health care costs. For this reason MPP Kathryn McGarry put forth a private members bill to create a Lung Health Act for Ontario. Bill 41 would entail establishing a Lung Health Advisory Council to make recommendations to the Minister of Health and Long-Term Care on lung health issues; and requiring the Minister to develop and implement an Ontario Lung Health Action Plan respecting research, prevention, diagnosis and treatment of lung disease. 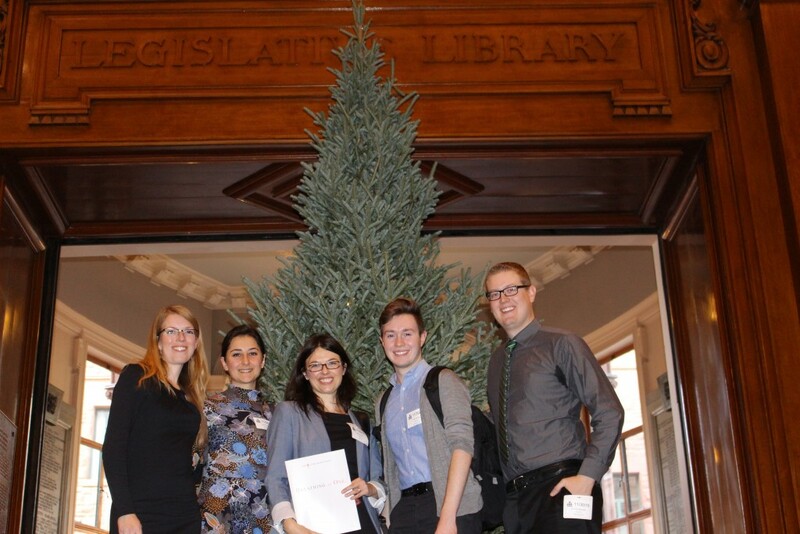 In Novemver our lab attended a provincial lobby day where we discussed the importance of this bill with politicians. On June 6th Dawn gave a deputation to the Committee on Social Policy on why this Bill would be of particular importance to older adults. To see the entire 4 hours of deputations (ouch!) click here. To read more of the FAQ around the Lung Health Act click here. To read more about the Ontario Lung Association’s draft Lung Health Action Plan, click here. (Bonus – you can donate to the Lung Association to support this work via that link too!). 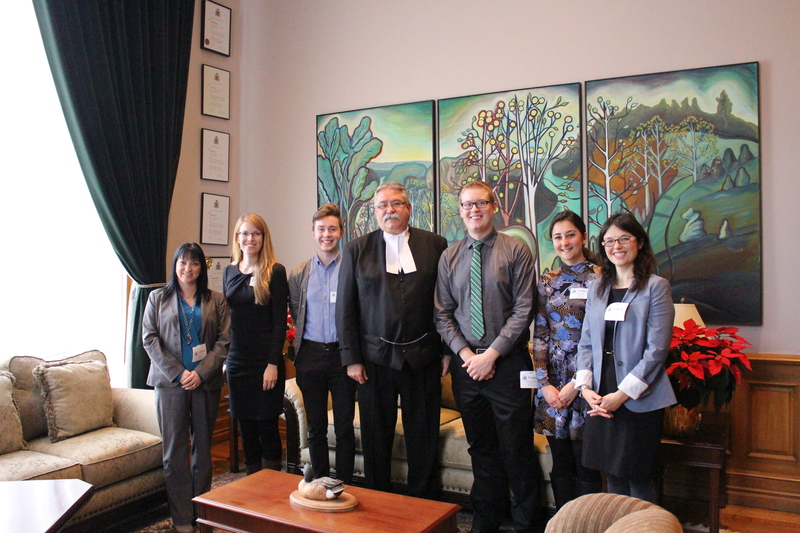 Tammy Villeneuve (OLA), Andrea Kellner, Justin Boyle, MPP Dave Levac, Kyle Novakowski, Dessi Loukov and Dr. Dawn Bowdish meet to discuss the Lung Health Act. 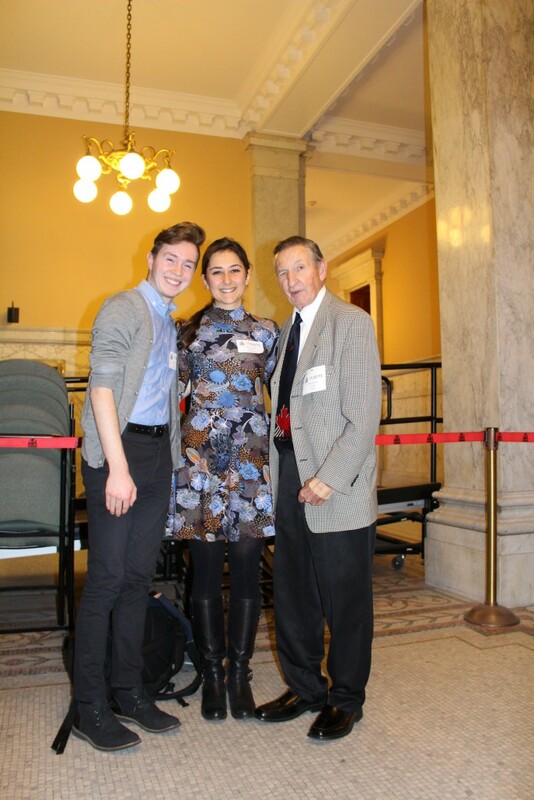 The Bowdish lab attends lobby day in November 2015 to discuss the importance of the Lung Health Act with MPPs. Dawn at Queen’s Park after her deputation on Bill 41- The Lung Health Act. The Bowdish lab participates in democracy!